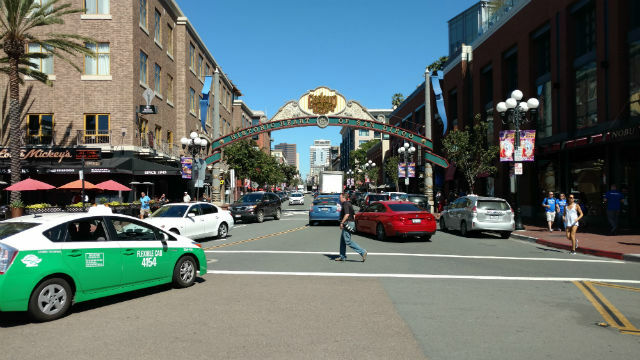 San Diego Police said Wednesday no charges will be filed at this time against a man initially accused in the fatal shooting of a bar manager following a fight in the Gaslamp Quarter. Police arrested 23-year-old Jonathan Hernandez on suspicion of murder after the shooting that took the life of 33-year-old Joseph Aaron Holtz. Since the 2 a.m. shooting on Monday, new information has been developed and no charges will be filed against Hernandez pending further investigation, police said. A spokesman for the District Attorney’s Office confirmed that information. Holtz was shot at least once in the upper body and died at the scene near Fifth Avenue and Market Street. Friends said Holtz was a single father who worked as a chef and bar manager at a downtown lounge. After the fatal shooting, Hernandez fled in a taxi that was later stopped by officers. He was questioned and taken into custody.